The Spaulding Paolozzi Center (SPC) is a new, 3-storey, 36,000 sq. 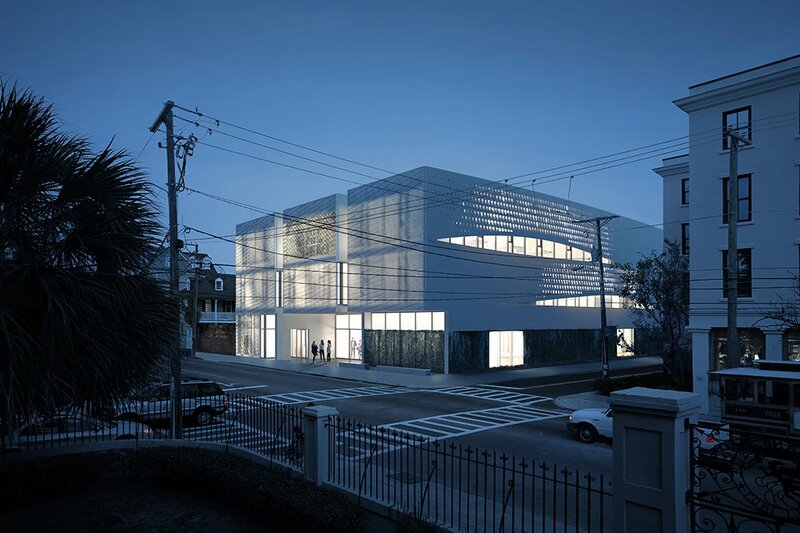 ft. building that will house classrooms, faculty offices, design stdios and library facilities, as well as rooms for exhibits, lectures, community activities, garden areas and outdoor spaces for academic and public events. The conventionally reinforced cast-in-place concrete building consists of a series of curved concrete walls that are different at each level and which overlap at discrete points. Both the interior and exterior walls are perforated with a repeating series of openings. 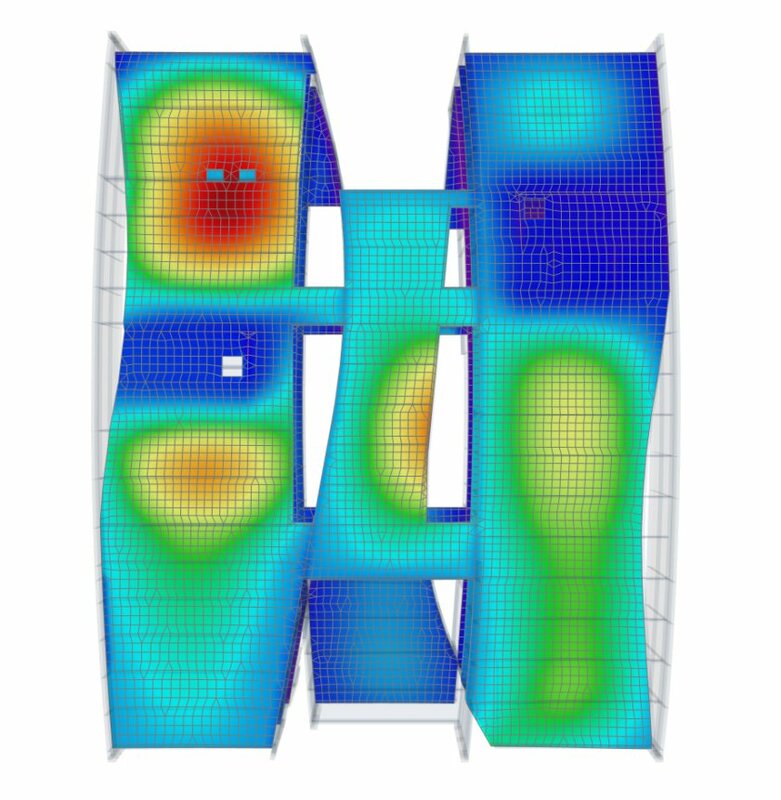 SCIA Engineer was used for analysis of the perforated walls under in-plane and out-of-plane loading, as well as gravity and lateral loads on the overall structure. Seismic analysis was necessary due to the project being located in both a hurricane area and a high seismic zone. 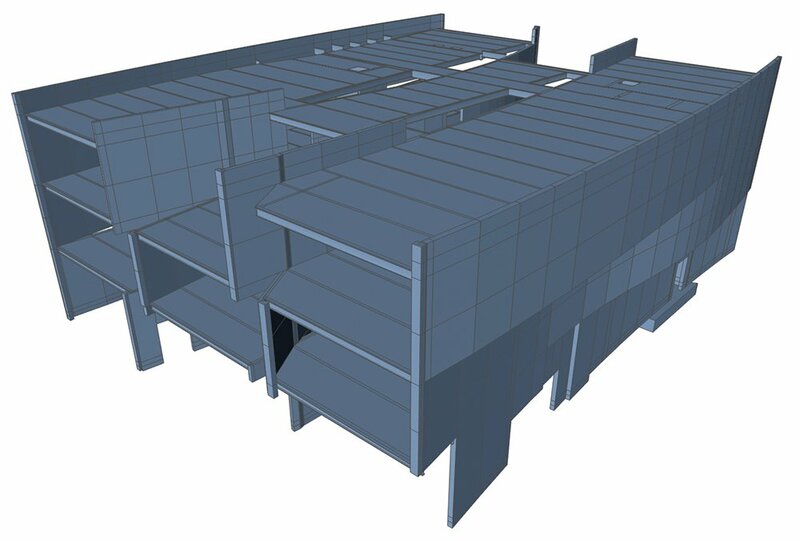 To reduce filesizes and simplify analysis, two separate models were developed- one for the perforated walls, and one for the full building. A number of modelling techniques were examined for analysis of the perforated exterior walls, including cutting many holes in one large element as well as arraying a single element with a single hole in it. 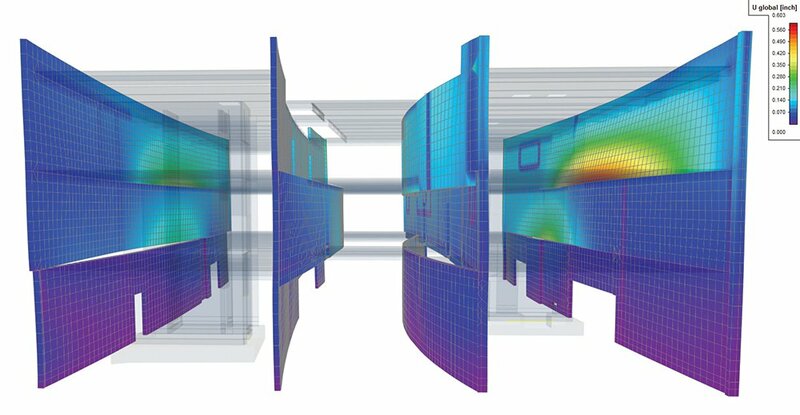 It was determined that FE meshing and analysis is much quicker if the latter option is used. For seismic analysis, the IRS functionality was introduced midway through the design process. This methodology was adopted quickly and used to ease analysis and design.